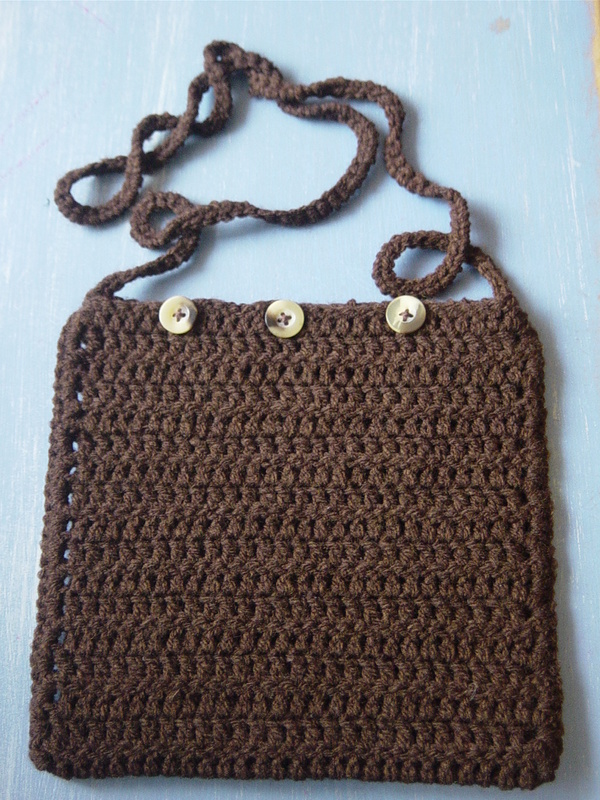 I've quickly made up another chocolate-coloured handbag in case my sister doesn't like the other brown bag I made for her. This is my post for Transformation Thursday at The Shabby Chic Cottage. The materials transformed for this was about 50g of yarn and three buttons. Using a 3.5mm crochet hook it didn't take long at all, maybe one afternoon. I was speaking to Jen last week and she mentioned she needed a little handbag just big enough to hold a couple of things so I've made another bag a little bigger than the last with a longer handle. This bag has a handle long enough that when on the shoulder the bag will hang down by the waist. I used a simple stitch, instead of the shell stitch I used in the first brown bag which made it a little wonky, so this was quicker to make. By the way, I found out at the craft group I went to last week that the stitch I've been calling 'double crochet' is American for the UK stitch called 'treble crochet', which is the stitch I used mostly here. 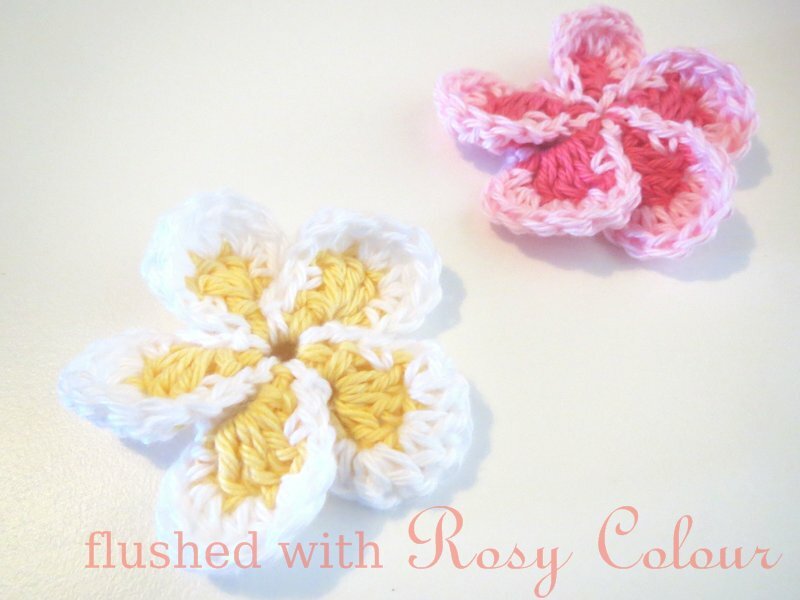 I'm thinking I will need to learn both crochet languages so I know the two names for each stitch. There are so many free patterns on the internet that are in American crochet, but my mother and the local craft group use British crochet, so it's best I know both! Here's to hoping my sister likes at least one of these bags! This is so cute, the little brown bag, I love it! Hmm. My comment link didn't work properly. I guess just click on the big paragraph at the bottom to follow! Hi Teena, Thanks for visiting my blog! Good luck with your baby endeavours! You mentioned following my blog, and I realized I'd lost the follow button the last time I reformatted. As well, I have an old crocheted sweater that I'd like to turn into a pillow case. Any recommendations on how I can remove the neck and arms and just use the square torso area? I'm not sure what the best thing to do is to prevent it from unraveling. Maybe it's not possible!